A Peak - picked up today (as I knew what the FW update contained and it tipped the choice from a DSI Rev 2 desktop to the peak. The new resistors in place. Metal film, 1/4 Watt. The Quadraverbs and the Midiverb II are very easy to service or modify. No need to disassemble the units. Both the component and solder sides are accessed by just removing the top and bottom panels. Here. Two patches I created for my Kawai K4. The Quadraverb makes the ambience for the drone. Not much of a demo, just having some free publicity haha. I bought a fender Johnny Marr Jaguar (black). Wow, glued battery tab, thats a new one to me ! I once had an output jack that had the wire twisted around and held in place using a massive chunk of blutak once, I guess some people are allergic to solder perhaps. Yeah it took me a while to understand the logic behind it. I´m guessing "contact" glue ought to be good for making electrical contacts. You know, insulating twisted wires with blutack isn´t such a bad idea in a hurry. Done the proper way it could make for an airtight connection and should endure. Macgyver would have used chewing gum. It´s how it´s done that tells which was an informed, deliberate job or a very sloppy one. It´s both funny and sad. Some people are really ignorant or afraid of dealing with anything electric. Recently picked up a NAD 3225PE. Advertised as not working with a probably faulty mains transformer. Repeated flicking of the power switch fixed it. I was about to return it in remorse, but nah it´s a good amp. Has a Mono button, which is quite useful. 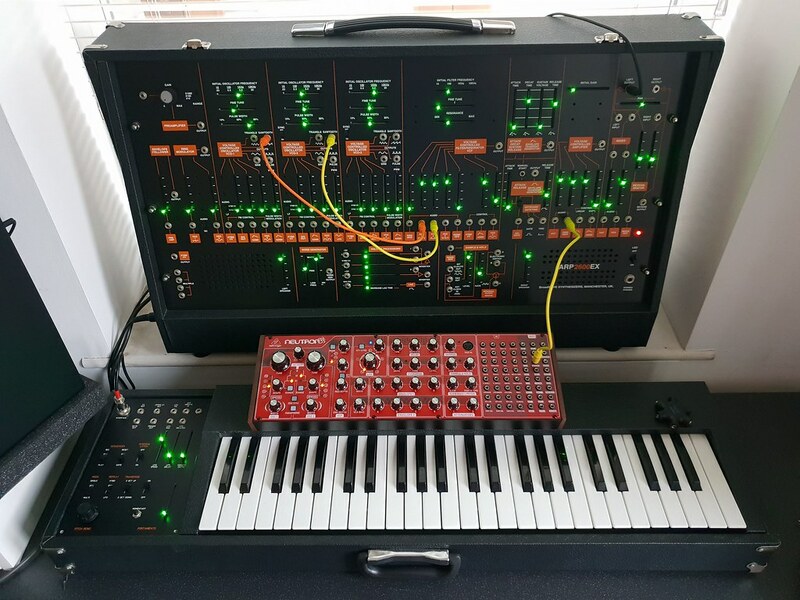 Picked up a Behringer Neutron From DV247/Music Store (returned stock £208) - It had an issue with 1V/Oct scaling when used with an external CV input to VCOs 1&2, via MIDI it was fine. Nord Stage 3 Compact. These things are so expensive but I finally got one of these after months of looking for a good deal. Found a perfect condition B-Stock unit for almost twelve hundred dollars less than A-Stock.